Concern about the administration of our free time has generated a long list of applications dedicated to the creation and management of calendars, task lists and projects. We normally forget the practical things have to be simple, and many of these tools are so complicated that we soon stop using them. 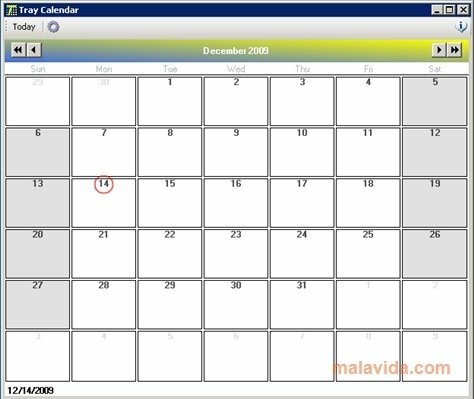 Tray Calendar, that used to be called Team Calendar, is a calendar based on Microsoft Outlook that includes some features that the author missed from in that application, all of them inspired on the desire of making things a lot simpler and easy. The author specially recommends it use for team projects, even though it can be used to track any aspect of our life, thus the change of name the designer decided. It shows a monthly view to which we will add events to the days, without having to indicate the time they start or they finish. 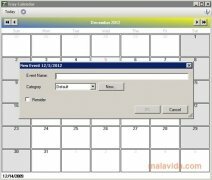 We will be able to create as many categories as we want and access it directly from the Windows taskbar, and it will also notify us of an event days before it happens. 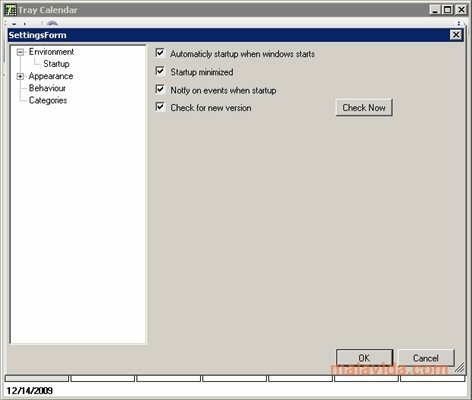 The quickest and most simple way to program and track our activities is Tray Calendar, previously known as Team Calendar.